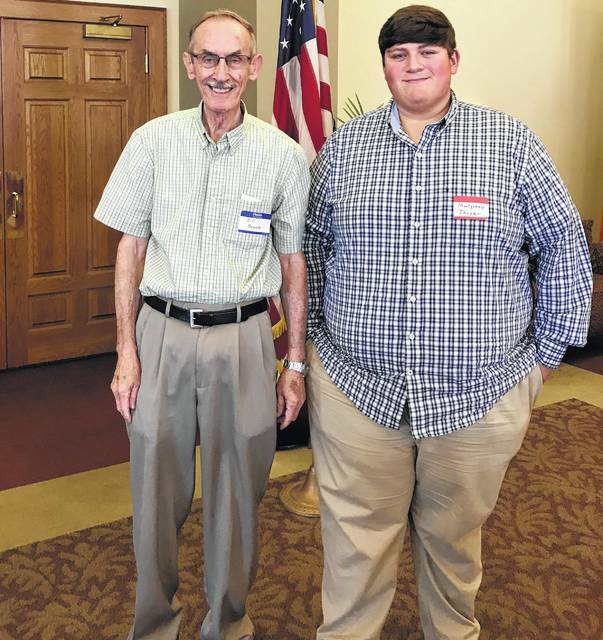 The Scioto County Retired Teachers Association awarded two scholarships of $750 each to Victoria Reffitt, 2017 Minford High School graduate, and Montgomery Thayer, 2017 Valley High School graduate. Victoria is the daughter of Hector and Jennifer Reffitt and is attending Shawnee State University majoring in education. Montgomery is the son of Chet and Jane Thayer and is attending Cedarville University majoring in Science Education and Bible Studies. This year’s scholarships were presented in memory of Marion Parker and Roger McClay, both retired educators and past presidents of SCRTA. Pictured is Bill Brown, SCRTA president and Montgomery Thayer. Victoria was not available when the picture was taken.